After spending 2 amazing months in Galveston, we are on our way back home. From Galveston we drove to San Antonio. We are spending a week in San Antonio with my parents checking out the sites. 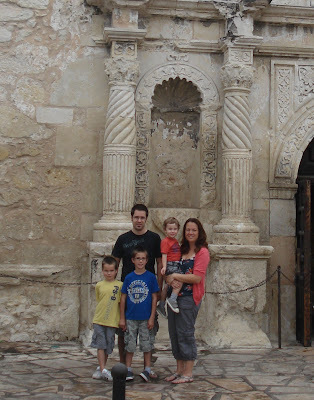 Our first day in San Antonio we went to the Alamo. After the Alamo we went down to the Riverwalk. We walked around, ate lunch and went on a boat ride down the river. Taking a little rest in one of the courtyards by the river.